Today we hear almost everyday about user data leaks. If you're using the same password on many websites you are at risk of being hacked. Intruder can buy your credentials and use them to takeover your identity or any other valuable possessions. 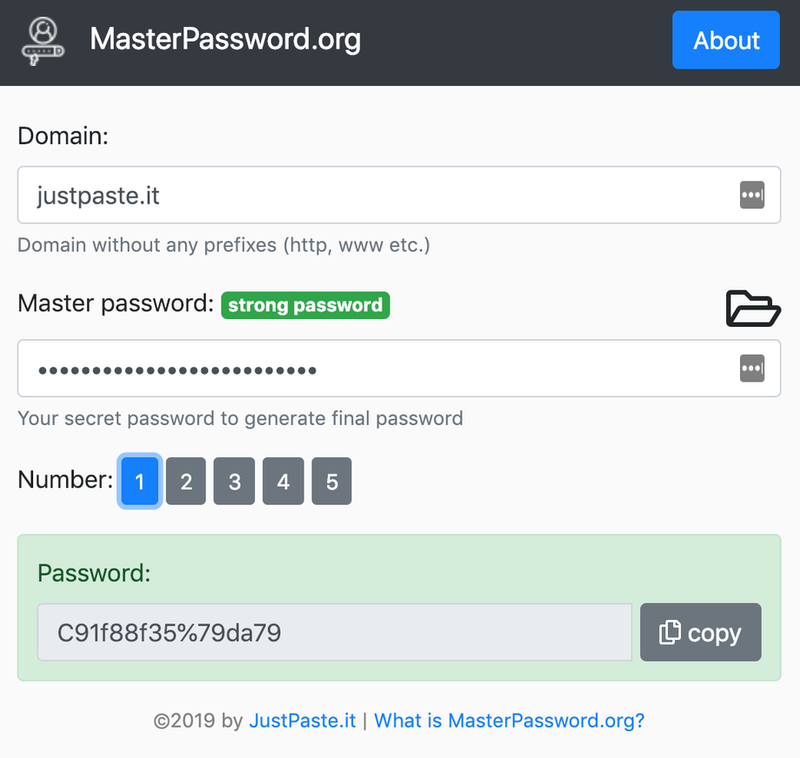 Using MasterPassword.org you are able to create secure, unique passwords for many pages using single "Master password". If someone steals password you are using on site X he still won't be able to guess passwords for other websites. Application doesn't know anything about you (login, name etc.) and doesn't send anything you input over the Internet. Password is generated in your browser using strong cryptography (bcrypt). This guarantees your credentials will be safe. Avoid saving anywhere your Master password. To easily store your generated passwords use one of Password Managers.